I’ve started working on a different type of project. 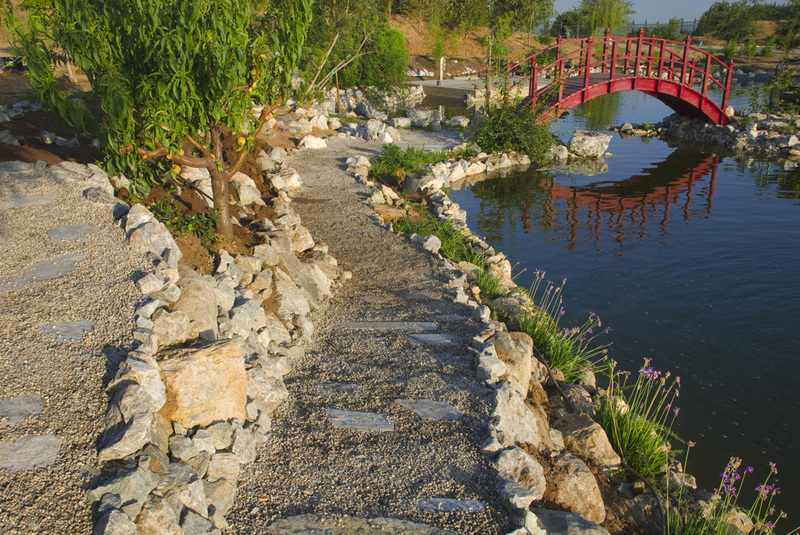 This time, it’s making gravel and flagstone paths around the pond. Working on this is quite strenuous, especially when trying to wrestle boulders into place and making stair steps out of them. I set the flagstones in mortar, and then the spaces in between were filled with 3/8-inch gravel. I also made a gravel beach to serve as an area to feed koi. This south side took about a week to do, but it’s also the most complicated because of the elevation changes. I sustained an injury to my left small finger while mixing mortar, hitting the shovel handle against the rim of the wheelbarrow with my finger smashed between. It now feels better after draining out the blood.